Hi all, new to this forum. 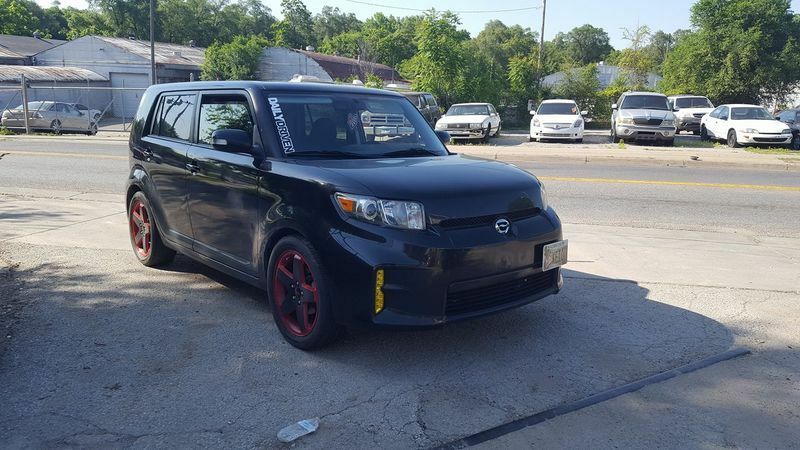 Thought I would share a few images of my 2011 XB. It is lowered on K-Sport coils. Has 18" TC wheels. Slow going as a project as most of my time/money is spent on my Volvo 240 turbo project. Good to see your xB having some fun going snowboarding! It looks sweet, great combo with the wheels and coils, and I like the headlight effect with the lugs matching. Nice! I'll actually be visiting your great state in a couple weeks. Hey, new to the forum. Here's my '14 Super White which replaced my '05 Black Cherry. No mods yet but hopefully some DF210s and 18" wheels soon. The '05 was totaled in an accident a few weeks ago. Here's my '14 Super White after being rear-ended by a Jeep with a tow bar on front. Thanks BP. Thankfully no one was hurt. Progressive gave me a quote of $4,800. Apparently much less damage than what happened to yours. The worst part is I had only owned the car 28 days and just lost my 05 xB the month before from getting t-boned. Hopefully I've fulfilled my accident quota for my lifetime. Nice wheels. What are the specs?